Any amount of breastfeeding can benefit your baby. Have questions? Need support? Our WIC breastfeeding peer counselors can help. 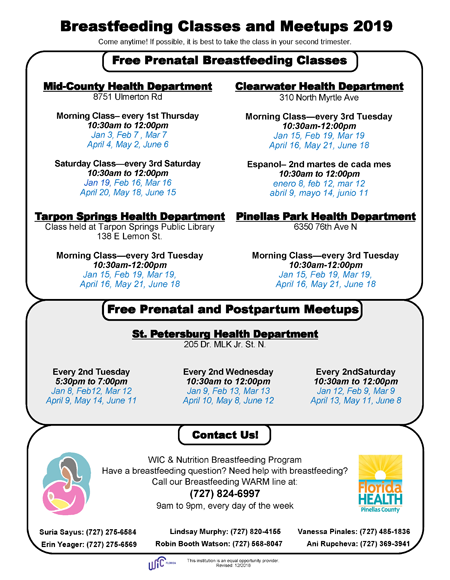 Join us every Join us every third Tuesday of the month for no-cost prenatal breastfeeding classes. It is best to take the class in your second trimester.